4 years ago this past Wednesday was a day I will NEVER forget. I thought it was the end for me. This led to a mental breakdown on the side of the road, which felt like the combination of a seizure, heat stroke, heart attack, and deep pain in my stomach. I was in an ice truck and pulled over on the side of the road helpless, wondering if I would live through the day. The ambulance came and they were finally able to bring me out of shock and snap me out of it. They insisted I go to the hospital, but I convinced them to let me go… and I went back to work. After work that night — around 11pm on a Friday — I sat there alone in a warehouse. 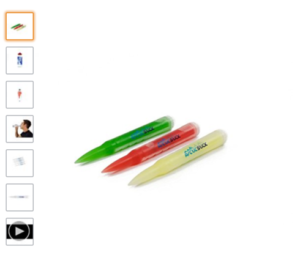 I reevaluated my life and realized I wasn’t happy.I was working a corporate job full-time, selling Real Estate during nights and weekends, working in Adams’ Ice when I could, and putting all the money and energy I had left into my invention Arctic Stick. After this terrible day, I told myself I would change. But…as you may be able to guess… I ended up not changing at all. It finally took the loss of a friend and some other gut-wrenching experiences to make me realize life is too short not to do what you want. In February of 2014, I finally left my corporate job to pursue my vision of launching Adams Product Innovation. After 5 months of hard work, my girlfriend Samantha Rossin left her job in Florida to relocate and join me in starting the company in Des Moines, Iowa. We burned the ships and never looked back. But that decision led to us almost losing it all and going completely broke. Well, the company failed and I felt like I let everyone down. I felt like a failure. I made Sam give up her life…but for what? For nothing but work, stress, and near bankruptcy. I hit rock bottom again. After a lot of pain and stress, we realized what we could learn from the failures and made a pivot. We turned to a new but relevant field: Crowdfunding. We did a crowdfunding campaign for my invention Arctic Stick and funded it! A solid win to hang our hats on. 3 years ago I was in Rock Valley, Iowa on RAGBRAI and pitching Arctic Stick to Lance Armstrong! It was a pretty cool moment and I felt like I had finally seen some success. That Fall, we failed to get Arctic Stick to market due to unforeseen obstacles. Once again, I fell short. 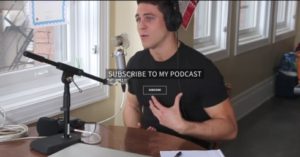 On February 7th, 2015 I launched a podcast show called University of Young Entrepreneurs (now called Live to Grind podcast). I had never felt prouder. It was a big moment for me. 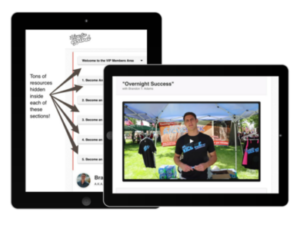 Finally, I could build an audience, truly help people without asking anything in return, and share my voice. I saw it as planting seeds to grow my brand, business, network, and influence… seeds that would grow tall and strong. Not some get rich quick scheme, but the foundation of something real. • [N] saying ‘yes’ to any and all coffee meetings — I even once went to 5 networking events in 1 day! I even did modeling and commercials for talent agencies because I always said that if I were to sell Arctic Stick on an infomercial one day, I would want to be the person to do it. I would be the pitchman, so I wanted to be prepared for it! I was still struggling financially but I could feel it…I was making progress!! During this time I got toooooo caught up in the GRIND and lost focus on my family, friends, and loved ones, including my girlfriend Samantha who eventually left, for good reasons. I lost the girl I loved. Once again I hit rock bottom. I kept grinding even during my darkest times. 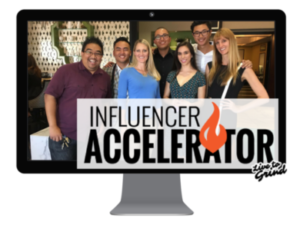 January 4th, 2016 my company Keys to the Crowd (now Accelerant Media Group) worked with John Lee Dumas to launch The Freedom Journal on Kickstater. We raised $453,000 in 33 days! That success attracted more success. April 22-23, 2016 we had put on the first annual Young Entrepreneur Convention (YEC), which became Iowa’s largest entrepreneurial event ever. 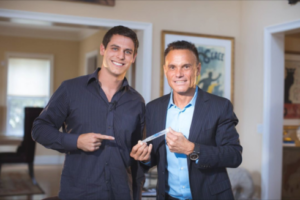 Kevin Harrington spoke at the YEC event and ended up staying in contact with me. That led to working together to do a crowdfunding campaign. …and my joining a team to fund and produce a film called THINK: The Legacy of Think and Grow Rich. Before I knew it 2017 had arrived and I was finally starting to see the “overnight success” everyone had talked about. This week, I look back on the journey that I have been on. It’s been a grind and always will be. 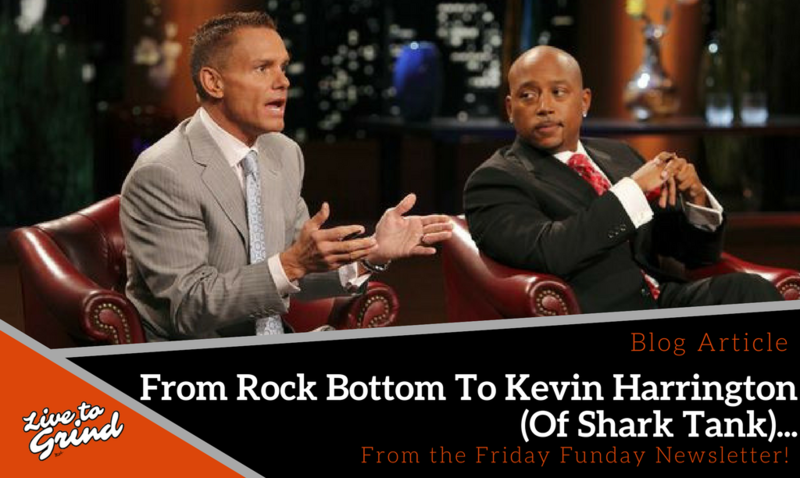 Wednesday, I had the best interview of my podcasting career with Kevin Harrington. I always said I would work with Kevin one day, and after the interview I realized I’ve been working with Kevin on many projects for over a year now! And we have big future plans yet to come. I had to take a picture with Kevin holding the Arctic Stick (see below), not for promotion (even though you can buy the Arctic Stick on Amazon, if you want), but because it represented for me just how far I have come. 4 years ago Kevin was the person I was looking to strike a deal with to sell Arctic Stick on infomercials. No, I’m not working with Kevin to sell Arctic Stick, but Arctic Stick did lead me to working with Kevin in other ways. It’s funny where life takes you. The future is promising and I’m excited for what’s to come. 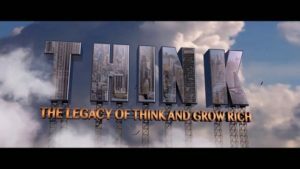 …In October, THINK: The Legacy of Think and Grow Rich airs worldwide. …In the Fall or Winter, Greg and I plan to launch our T.V. show Ambitious Adventuresto a big audience (we can’t disclose where yet!) and in December I pray that he and I win an Emmy for it. 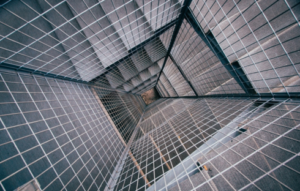 When you hit rock bottom (even if a few times), there is nowhere else to go but back up. Let the darkest times be your motivation to become successful. Live life to the fullest and love others. Life is too short not to. You’re Awesome, You Know That?! PS: Ask me more about the B.R.A.N.D. 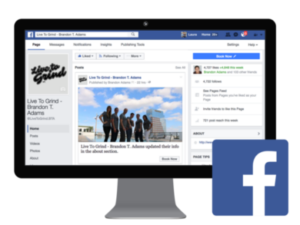 framework on Facebook here!